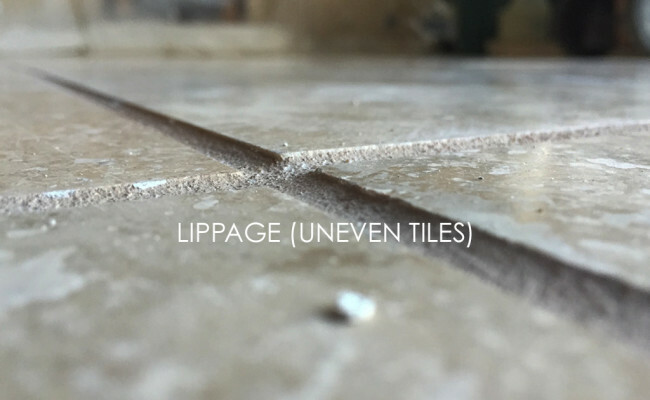 A home in Discovery Bay, CA had 1,200 square feet of travertine with severe lippage, that is, unevenly laid tiles. 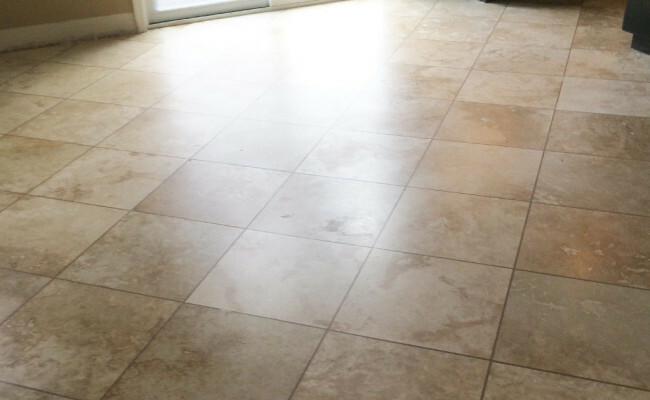 The floor wasn't installed properly, and the homeowners called us hoping we could help them avoid the cost of replacement. In addition, there were pits, or holes, in the stone. 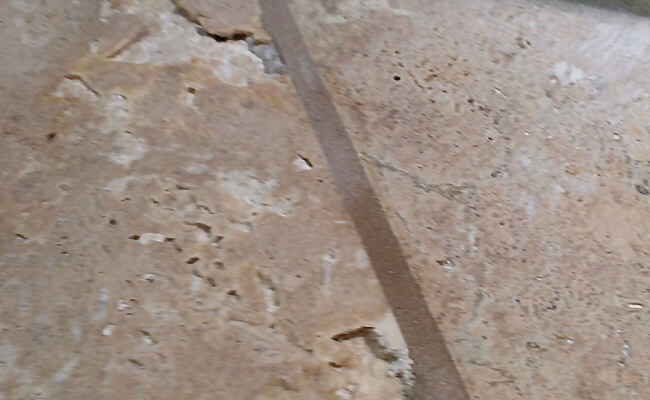 Notice in the first and second images how severe the problems with this travertine floor were. To create a uniform, even surface, we used heavy duty equipment to grind the travertine tiles level. You can see for yourself just how level this floor was after the grinding process in the images with the business cards. To fill the holes, we used epoxy, tinted to blend with the surrounding stone. See the fourth image. With the holes filled, the next step was the travertine honing process. We used 220 grit and then 400 grit diamond pads to powder hone this floor to the beautiful matte finish you see in the final images. The floor is so smooth you could roll a marble across the surface and not get a single bounce. If you were to close your eyes and feel the floor, you would not be able to find the grout joints. No tile setter can install a floor that smooth. 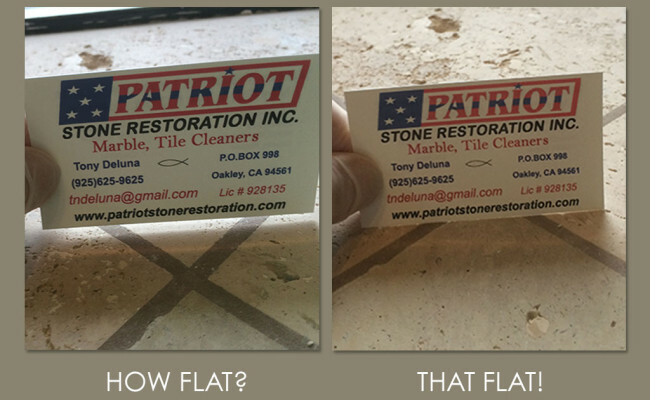 The homeowners no longer needs to scrub ugly, dark recessed grout joints and holes. Our restoration process gave them a floor that's as easy to maintain as linoleum — just a quick sweep and damp mop. 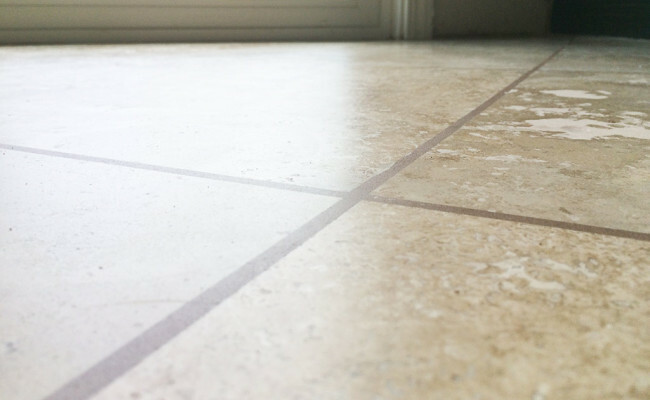 To learn more about travertine cleaning, repair, and restoration, visit our Natural Stone Services Page. 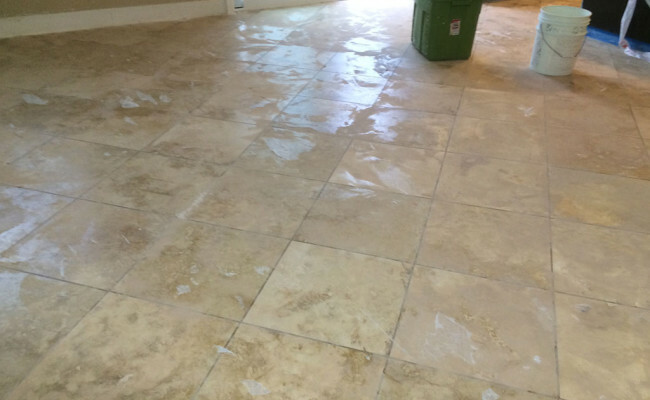 For travertine cleaning, travertine repair, or other natural stone restoration services, contact us online or call (925) 625-9625. We service Discovery Bay, CA, as well as the Alameda and Contra Costa County areas.